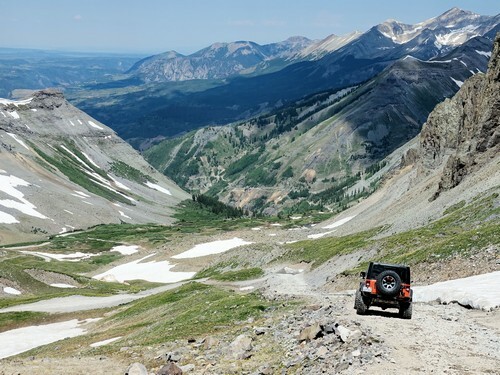 Imogene Pass is a great Jeep trail between Telluride and Ouray. Lots of history, scenery and, unfortunately, lots of people. 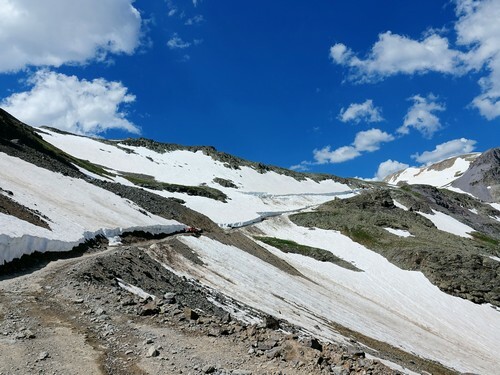 Second highest driveable pass in Colorado. 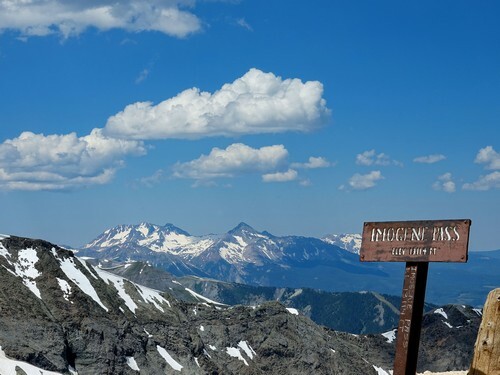 We occasionally do Imogene Pass after doing Black Bear down into Telluride, but it can be done all by itself in either direction. 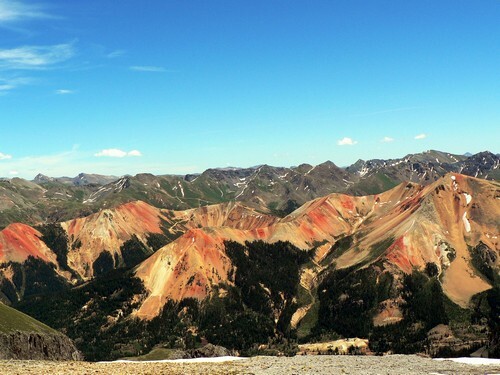 This description will start from the Ouray side. 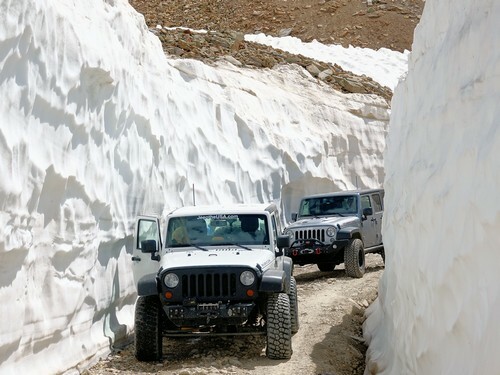 This is a beautiful trail any time of year, but is at its best in early summer right after it has been plowed open. Scenery is fantastic and waterfalls abound. 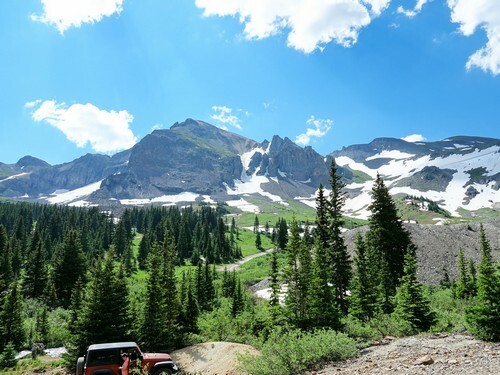 This trail is great from the time it leaves the Yankee Boy Basin Road. 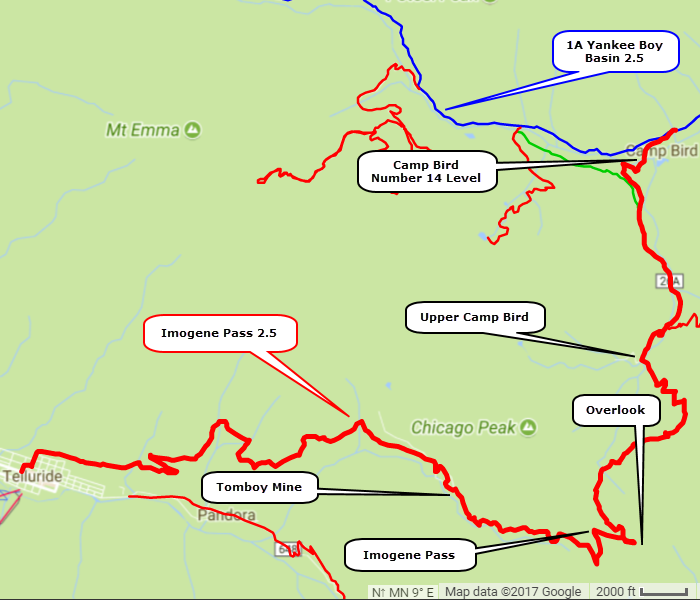 Pass by buildings at Camp Bird Number 14 Level and follow up Imogene Creek. 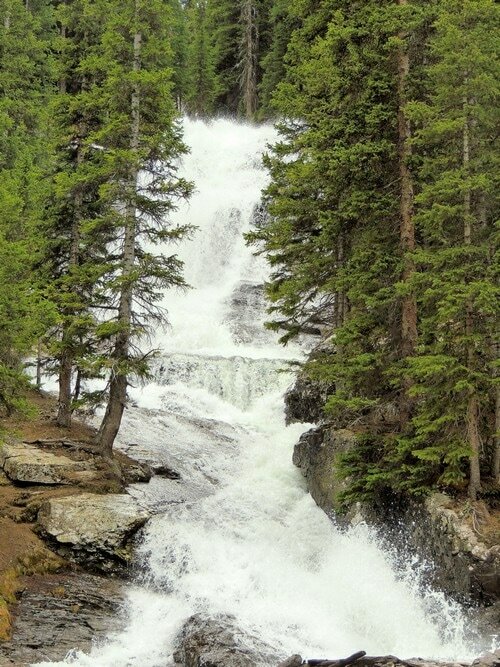 There are several nice waterfalls and spectacular views as you climb up through the timber. Cross Imogene Creek and break out into the open at Upper Camp Bird. The area just above Upper Camp Bird has a wide assortment of wildflowers at the right time of year. 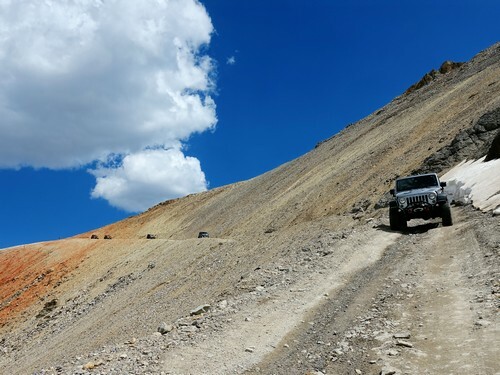 Continue climbing up switchbacks toward the pass. There is a spur to an overlook just on the Ouray side of the pass. Do not miss it. There are 360 degree views of the surrounding mountains and of an abandoned lakeside cabin. The pass has a large area where you can park and look around. 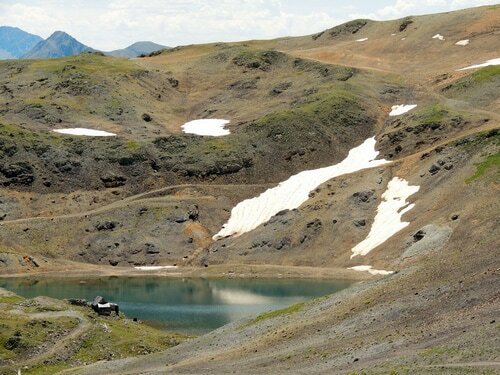 This is the second highest driveable pass in the US - Only Mosquito Pass 2.5 near Breckenridge is higher. 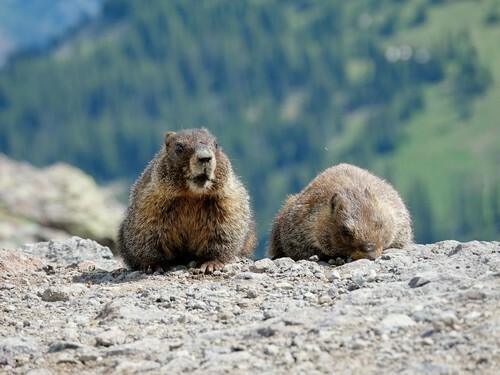 Marmots abound at higher elevations. 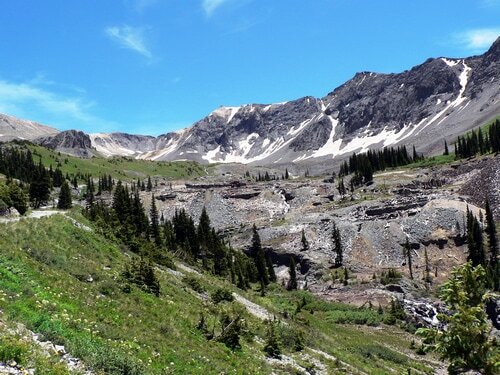 There is a long talus slope as you start down the Telluride side of the pass. A deep snow drift at the bottom of this slope needs to be plowed every spring. Continue down the glacial cirque knows as Savage Basin toward Tomboy Mine. The mine operated from 1894 through 1927 with a peak of 900 residents. Ore went to Pandora Mill upstream of Telluride.